We’ve been watching the evolution of the tie-dye trend for the past year and have been curious as to how it’s going to pan out. Just recently we’ve started to see a kaleidoscope of neon colors hitting the wardrobes of influencers and the trend is only gaining velocity. It’s likely that your Instagram feed has already been populated with tie-dye pieces from Prada, Proenza Schouler, Stella McCartney, and R13. 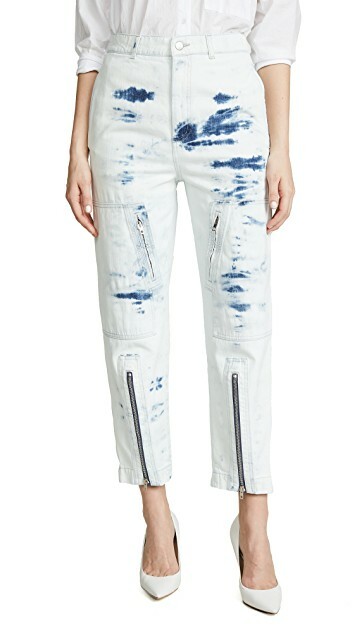 This trend can quickly go from Coachella 2019 to Grateful Dead Baby Boomer. The key to owning luxury designer tie-dye is to focus on special technique or unique pieces. 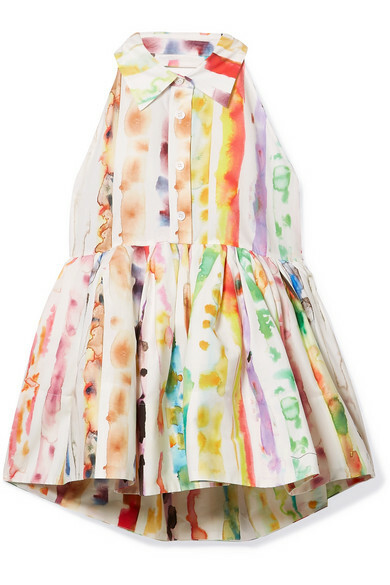 For instance, we love this Rosie Assoulin halterneck ($995) that’s tie-dyed by hand to resemble watercolor brushstrokes. This Raquel Allegra tank ($220) is a less formal option with a similar effect. We also love this Marques Almeida asymmetrical skirt ($620) that can be paired with a black tank top or blouse for a sophisticated tie-dye twist. Shiloh tie dye sunhat ($128) is perfect for the beach and this Amen printed top ($182) is more than a rocker tee if only for the juxtaposition of a delicate lace sleeve. Notice how we have avoided tcliché tees and sweatshirts. We suggest you go with budget options for these items. The choices are numerous. We really like this bright pink and yellow beach coverup from Asos that’s only $45 and this Ramon’s tee ($26) can be easily zhuzhed with a few scissor snips. For the real thing, you can hit eBay. Here is a vintage Grateful Dead tee ($39) or a reissue of the 1975 Led Zeppelin tour tee ($19). If you really feel like going crazy you can opt for this Nirvana 1990s tie-dye long sleeve shirt ($1300). Before you go for the new season of Prada tie-dye, you can look for past collections. Here is a fit and flare dress ($425) or a classic skirt ($22). 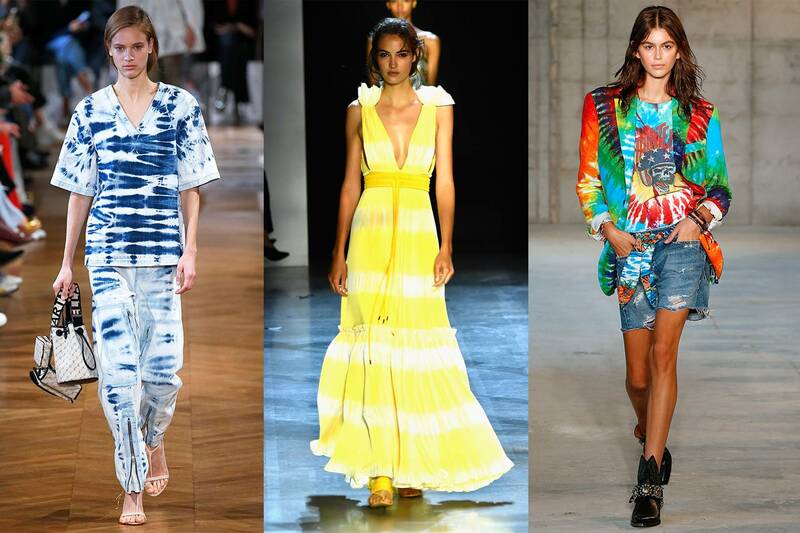 We think this tie-dye fashion trend is just getting started and will spill over to the Fall and Winter. We can easily see a plethora of tie-dye puffers and cashmere sweaters. While you’re building your wardrobe, try to think of what will look good in 2020 and not wonder into Strawberry Fields Forever. This entry was posted in Trend Reports and tagged Madison Avenue Spy, R13, Raquel Allegra, Rosie Assoulin, stella mccartney. Bookmark the permalink.